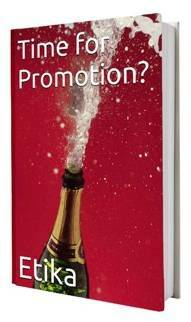 Are you tired of being turned down for promotions? 1. Have you requested a promotion in the last year? 2. Have you ever been rejected for a promotion? 3. Have you ever been offered a promotion? 4. Has a co-worker at the same level ever been promoted instead of you? 5. Has there ever been a position you applied for and didn’t get? 6. Are you hesitant about asking for a promotion for fear of your boss’s response? 7. Have you ever left an organization because you were passed up for promotion there? 8. Do you know if your work environment values you and your work? 9. Do you think that you deserve a promotion? 10. Do you promote your work and yourself at work? READY FOR PROMOTION? FIND OUT ! How do you recover after being rejected for a promotion? So you didn’t get that last promotion. Yes, it’s disappointing and even humiliating. So far, you haven’t experienced anything like it. Your climb up the corporate ladder has been so smooth until now that you never imagined you’d be rejected for your next promotion - a pothole along your corporate development path. But what you might not have known is that this is a story common to nearly every middle manager I’ve consulted over the past 35 years. Promotions above the middle management level are several times more difficult to achieve than promotions along the entry level corporate development path. So once you’ve dusted yourself off and have resolved to keep up the fight, here are some suggestions for not letting your next promotion opportunity slip away. The first thing you should do is take a look at the last year or two. 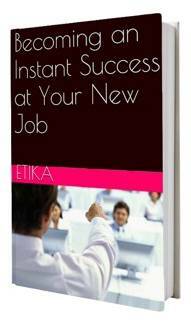 Ask yourself honestly, how clear were you to your boss about wanting to get promoted? 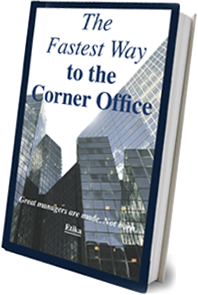 Were you counting on your boss to assume that you wanted a more senior position? Did you just simply think that doing a good job would automatically lead to a promotion, as it probably did when you were promoted last? In most cases, middle managers underestimate the importance of making it explicit that they want to be promoted. Getting promoted at this level in an organization is a great deal more than doing a good job. You have to actually build a strategy for getting it, which might include learning some new skills. Unless your boss is on board with you, helping you navigate the promotion waters, you’ll find yourself lost. So if your boss doesn’t know about your ambitions, make it clear ASAP. Once you’ve communicated to your boss that you want to be promoted, make some time to speak with them about the reason why you were passed up this last time. Only by having an honest conversation with your boss will you be able to find out what you should be working on for next time. Don’t underestimate your own value by being shy. This is the time to get real answers to crucial questions - so start making the list now. If, after speaking with your boss, you find that you're missing some key skills, competencies, and experience, make it your top priority to bridge these gaps. Unfortunately, most organizations are not forward thinking enough to provide middle managers with the tools necessary to be promoted from within. Instead, massive resources are directed towards finding new candidates for positions that could’ve been filled by existing employees. Therefore, it’s up to you to make sure you’ve got what it takes. So instead of being the last to leave the office and the one who volunteers to take on just one extra project (both which haven’t worked for you so far), use your time wisely by reading up on the latest trends and learning about new areas. And when you’ve embarked on the promotion prowl, don’t forget to document everything that could help you win that next promotion opportunity. If you’ve met or exceeded specific goals within an assigned timeframe, make sure you receive some type of acknowledgement (a simple email will do) from your supervisor. If you’ve run a successful project in which you’ve supported your team in an outstanding manner, try to get short notes from both team members and the customer, stating how helpful you were. If you come to the promotion table with this kind of evidence, it will be hard for senior decision makers to ignore it. To my own dismay, I’ve seen the best of middle managers follow all of these steps, and yet, when the time came, they were still passed over for promotion. Because of this, I suggest the following. When you approach your supervisor for the first time, ask them for specific steps that can be taken for you to get promoted. If you get a clear answer, then you can follow the plan above. However, if the answer is vague, it’s a sign that the company wants to keep you exactly where you are. In this case, I suggest you start polishing up your resume, as it’s probably time to move on to a company that deserves you. Great managers are made. Not born. 100% privacy, I will never spam you. Take your FREE promotion survey ! For over 35 years, I have helped hundreds of managers who’ve just about given up on the chance of promotion to make a turnaround and fulfill their dream. In fact, many top industry executive managers still call me their Dream Maker. Get my FREE ebook and never get turned down again ! What are the top 5 reasons why mid-level managers get stuck in their careers? I didn't get promoted: Should I stay or should I go? What should I say if my interviewer asks me why I was rejected? Help! My Boss is Stealing My Ideas! What should you do if you didn't get promoted? Is the “Better the Devil You Know Than the Devil You Don’t” Attitude Ruining Your Career?